Suffering from tooth pain? Get help in Calgary today! Suffering from throbbing tooth pain or a toothache that won’t go away? Get help from our emergency dentist in Calgary. It’s natural to panic when you have a severe toothache or tooth pain. Especially when you’ve tried medication and every home remedy you can find. The pain may be relieved for only a few minutes before starting back again. You may not be able to eat or even talk without the pain searing through your jaw. It stops you from sleeping and you don’t know what to do. It’s even worse when this happens over the holidays, a weekend or the middle of the night. Or if your regular dentist is booked solid and can’t fit you in for an urgent appointment. 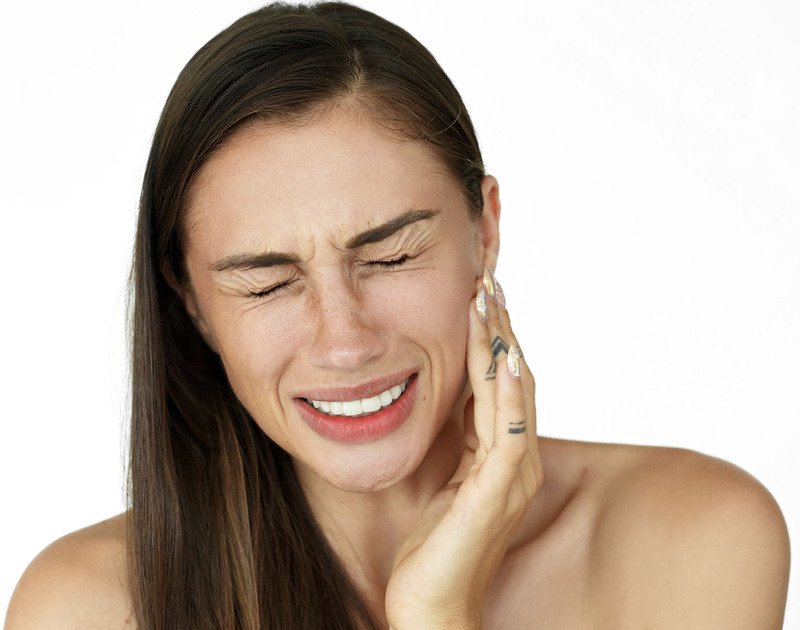 We know how debilitating extreme toothache can be, and we’re here to help you. Today. How much of this is familiar to you right now? Why is there so much discomfort and pain? Having tooth pain or a toothache is caused by irritation of the nerve root inside your tooth. You should see an emergency dentist right away if your toothache is severe enough to disrupt your sleep and daily activities. Since you’re on this page, it’s likely a major concern to you. If you’re suffering from an earache, fever or pain when you open your mouth wide, these are more reasons to be seen to right away. These symptoms, in particular, may indicate a dental infection which will need to be dealt with swiftly. If not, the infection may spread throughout your mouth and face and could enter your bloodstream in serious cases. Any of the problems in the list above should be treated quickly and we’re available to help right now. Those conditions will not get better without a dentist’s care and can lead to more serious issues and more invasive treatment if they are left untreated. Over-the-counter painkillers (Advil, Tylenol) can help to reduce inflammation. The key to easing tooth pain is bringing down the swelling. Please read all directions on the labels. Don’t apply any source of heat to your jaw, such as a hot water bottle or heat pad. Use something cold instead. Do not use any objects or apply any medication directly to the gums around a painful tooth. Doing so may damage your gum tissue. We’re a phone call away! We’re open 7 days a week, 365 days a year, and offer extended hours.